Pakistan has more than 100 peaks that are above 5000 meters. In World's 14 highest mountains, 5 lies in Pakistan. Those 5 deadly mountains of Pakistan are quite well known to everyone, however there are many mountains who not that popular yet they have their own beauty while touching skies. This is a list of Pakistan's less popular yet astonishing peaks that are just incredible. Gasherbrum IV is 17th highest mountain on Earth and Pakistan's 6th highest mountain. 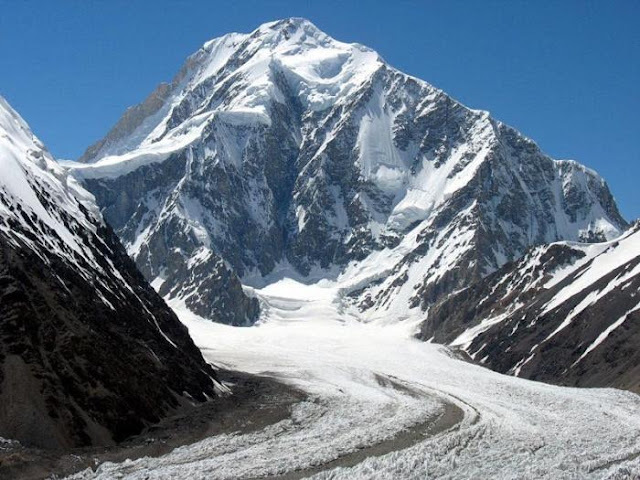 It is situated in the Karakoram range of Himalaya and it is 7925 meters high. Distaghil Sar is 7885 meters high and situated in Karakoram, Gilgit-Baltistan. It is 9th highest mountain in the world and Pakistan's 7th highest peak. Khunyang Chhish is also situated in the subrange of Karakoram mountains. It is 7823 meters high, world's 21st highest mountain, and Pakistan's 8th highest peak. K1 - Masherbrum. It is world's 22nd highest mountain and Pakistan's 9th highest peak. It is 7821 meters high. Batura Sar is world's 25th highest mountain and Pakistan's 10th highest peak. It is situated in Karakoram mountains range and is 7795 meters high. It lies between Passu village and Hunza Valley of Gilgit-Baltistan. Kanjut Sar is world's 26th highest mountain and Pakistan's 11th highest peak. It is 7760 meters high from sea level and is situtated in Gilgit-Baltistan's Karakoram mountain range. 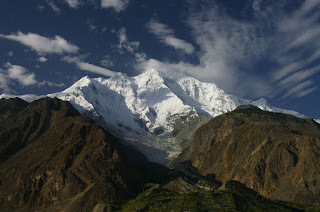 Rakaposhi is world's 27th highest mountain and Pakistan's 12th highest peak. 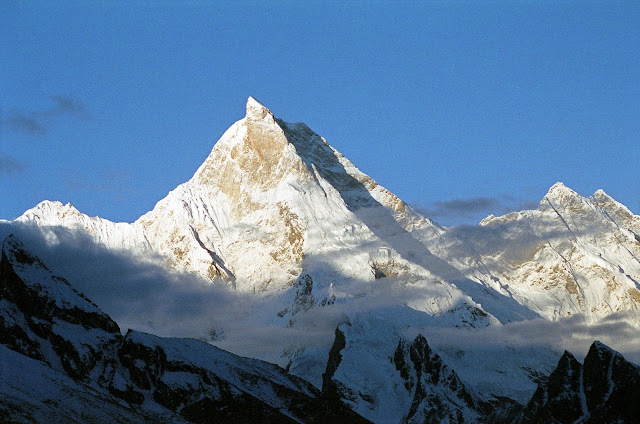 It is 7788 meters high and has an uninterrupted vertical rise of approximately 6000m, that makes it world's tallest mountain on land when measured from the base to peak. 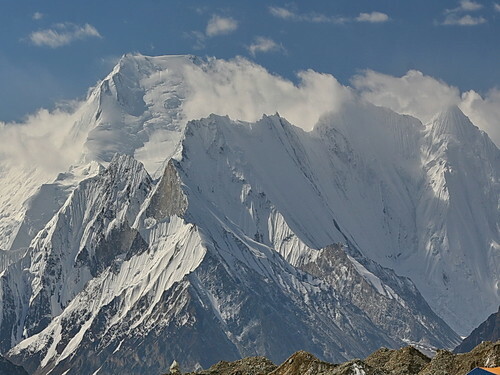 Batura II is also known as Hunza Kunji or Peak 31. It is 7762 meters high and is situated in Karakoram range in Gilgit-Baltistan. Tirich Mir is highest mountain of Hindu Kush mountains range. It is situated in KPK province in Pakistan and is 7708 meters high. Chogolisa is also known as Bride Peak. 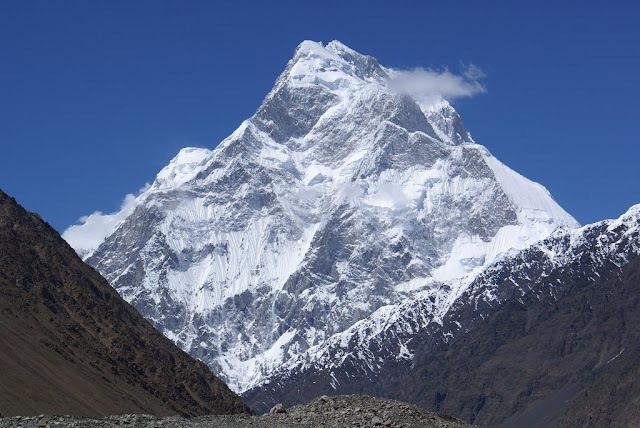 It is 7665 meter high and is situated in Karakoram mountains range. 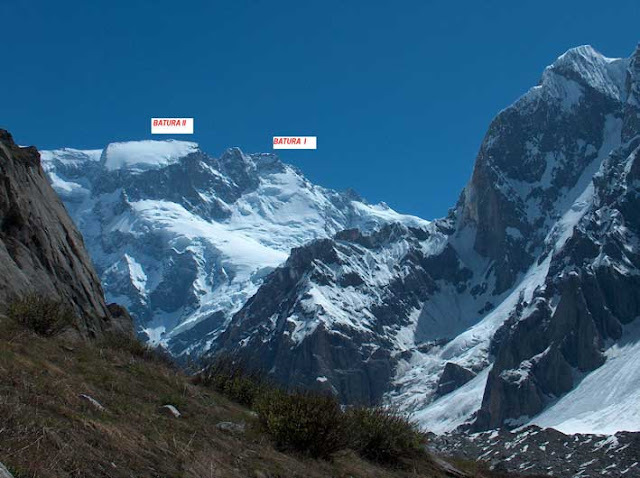 Chogolisa has several peaks which are of almost same height. 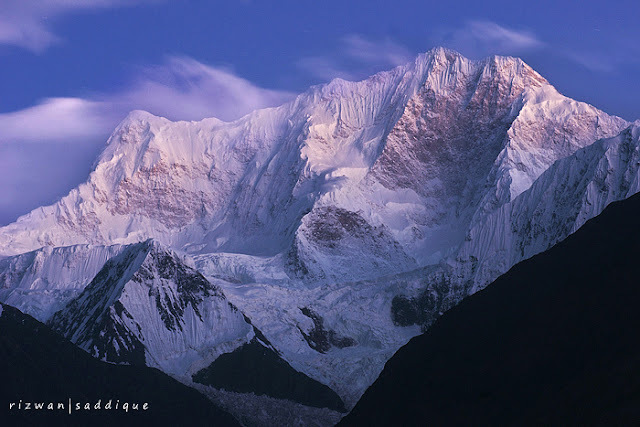 Shispare is world's 38th highest peak and is situated in Karakoram range. It is also called Shispar Sar locally. It is 7611 meters high. Skyang Kangri lies on Pak-China border. It is 7km away from K2 on northeast side. It is 7545 meters high and world's 44th highest mountain.